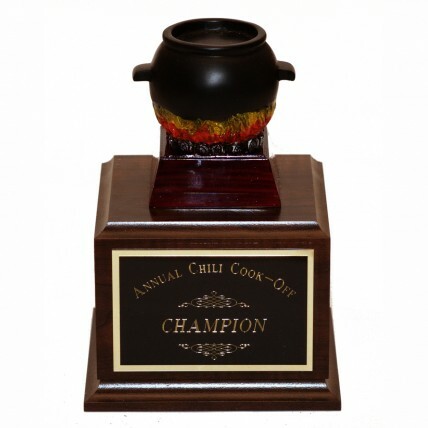 The Pot of Chili Perpetual Trophy is a unique memento for your annual chili cook-off celebration. 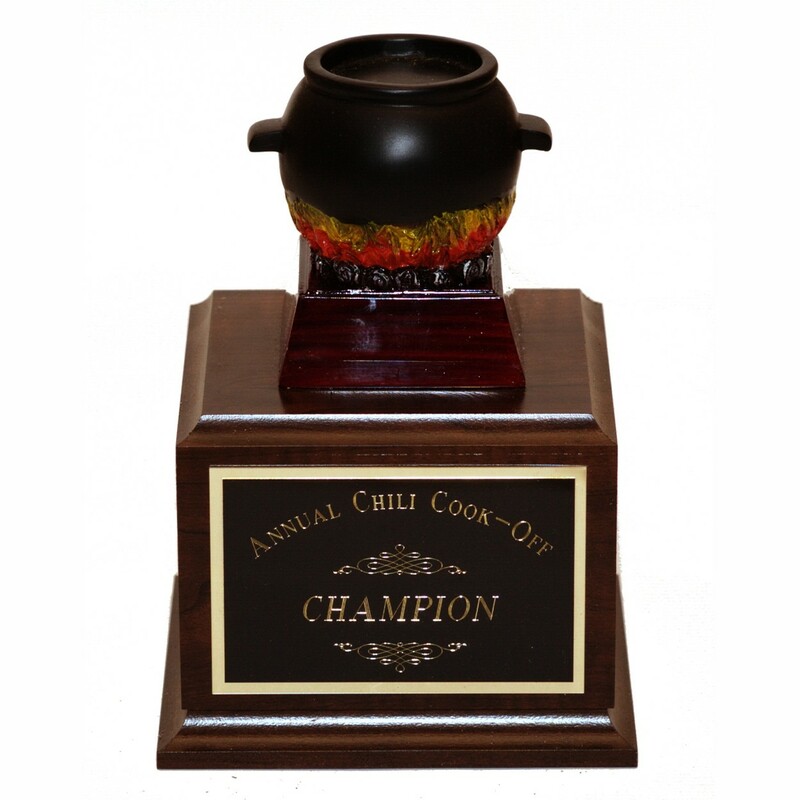 This trophy features a resin chili pot attached to a walnut base. Overall height is 8 3/4 inches; price includes engraving on the front plate. The remaining three sides have brass plates screwed on for engraving each year's winner (each side can display 6 winners).